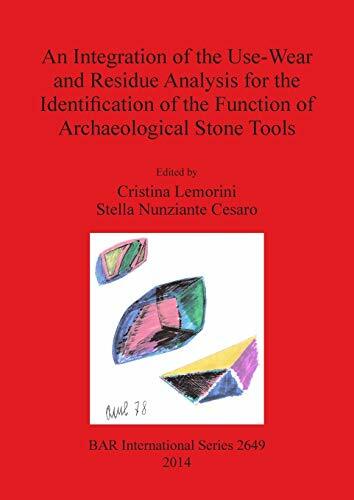 The book publishes the proceedings of the workshop held in Rome in March 2012 that was intended to bring together archaeologists, scientists and students involved in the study of use-wear traces on prehistoric stone tools and/or in the identification of micro residues that might be present in them in order to hypothesize their function. Use-wear analysis carried out with microscopic analysis at low or high magnification is, at present, a settled procedure. The individuation and identification of residues is attempted using morphological and chemical techniques, these latter divided between invasive and non-invasive. Each employed technique has its own advantages and limitations. Both traces and residues analysis require a comparison to useful replicas. Even with regard to the making of replicas, no shared protocol exists. The workshop underlined the necessity to outline the basis for developing a common protocol concerning both analysis procedures and replicas realization. The adoption of consistent methods will make it possible for data obtained by multiple researchers to become interchangeable.